When you need an AC contractor to complete a new AC installation for your residential or commercial property or to replace an existing system, look no further than Caldeco Air Conditioning & Heating. We are the Hometown Experts, and our team is comprised of highly-experienced technicians who take pride in providing best-in-class service on every call. As one of the leading AC companies in Central Florida, you can rely on us for a comprehensive service offering, competitive rates, and superior workmanship. 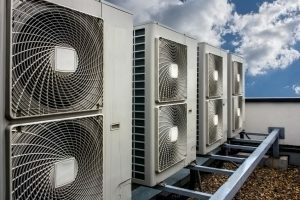 Regardless of the size of the job at hand, an AC contractor needs to have the skill, knowledge, and experience to recommend the appropriate equipment and expertly complete the installation. Luckily, Central Florida home and business owners can turn to the experts at Caldeco Air Conditioning & Heating. We have received numerous awards and accreditations for our outstanding sales, service, and support, and we are uniquely poised to offer the best service – and the best rates! A new AC system is a major purchase, and as such, we encourage all customers to choose AC companies with a solid reputation for customer satisfaction. At Caldeco Air Conditioning & Heating, your satisfaction is always guaranteed, and because we only recommend the highest-quality equipment, you can rely on our products to last for years and decades to come. When you are looking for AC companies that get the job done right the first time, you’re looking for Caldeco Air Conditioning & Heating. Contact us today to learn why we are the clear choice whenever you need an AC contractor. We gladly serve residential and commercial customers in Clearwater, Brandon, Wesley Chapel, Temple Terrace, Pebble Creek, or the neighboring cities.